And, Berry Sweet. How cute is this! The strawberry-shaped pendant features rows of crystals in a spectrum of color ranging from red to magenta to rose to pink to clear. And a green crystal adorns each leaf. 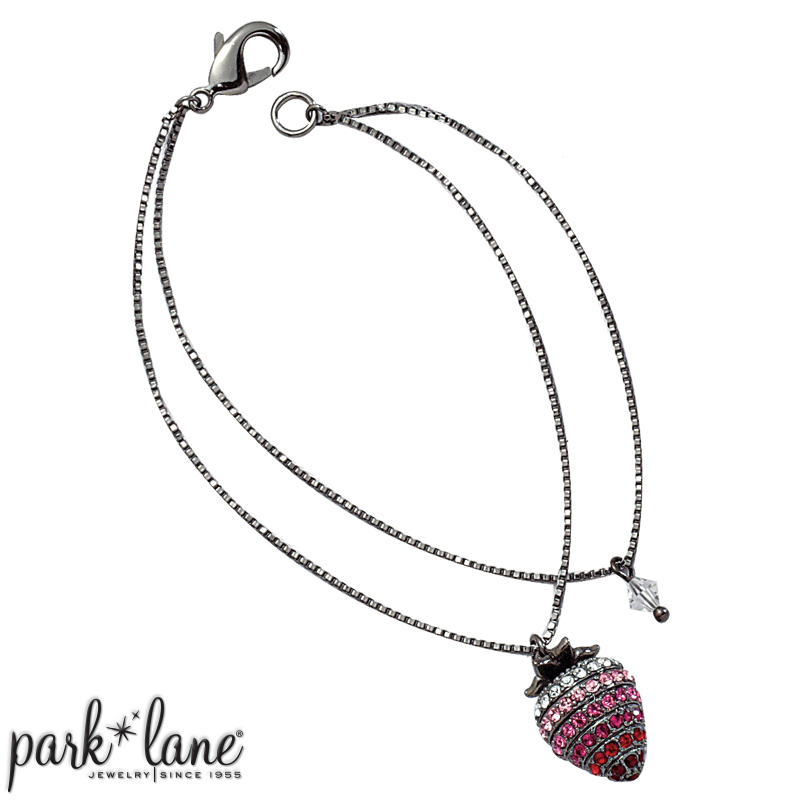 The bracelet has a smaller, but just as intricate, charm and an extra crystal adds a whimsical bonus! 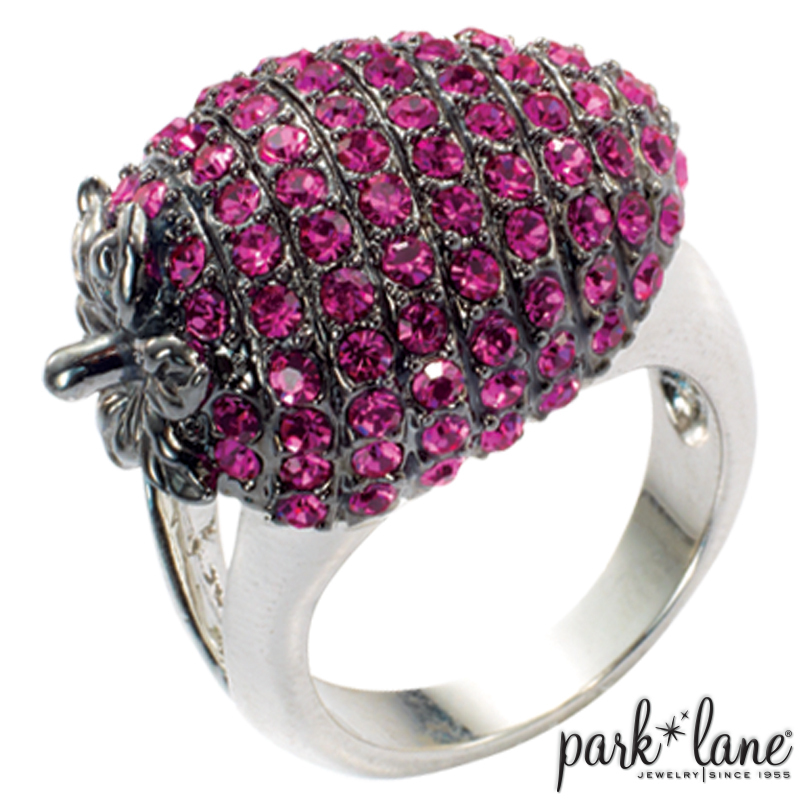 Party in Pink ring  August/Sept Hostess Special coordinates with Berry Sweet. Berry Sweet bracelet flatters Bordeaux necklace; layer Berry Sweet w/ Lily necklace. Royalty ring. Merlot ring. Red Hot coordinates with the bright red at the tip of the berry. Signature: pink & ruby red, Forever earrings.